On 15 December 2017, in the exhibition hall "Impasto" in Vinohradiv, the Transcarpathian region it was opened a personal exhibition of paintings by the famous Transcarpathian artist, Honoured Master of Folk Art, member of the National Union of Artists of Ukraine Miklos Harangozo. 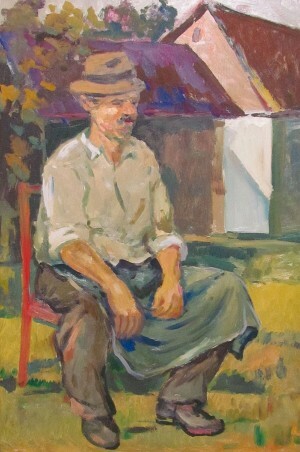 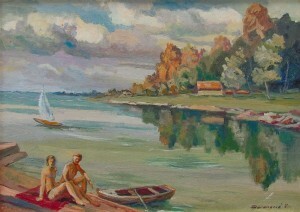 The exhibition is timed to the artist’s birthday – these days the artist would have turned 80 (the artist died in April 2014). The exposition presents 34 works of the master from his son’s own collection. 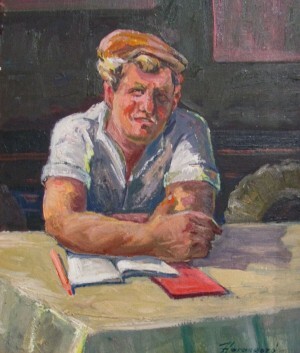 Canvases are representing the artist's work of different periods of his life in the best possible way. 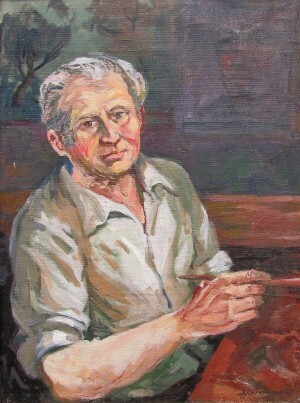 Contemplating the works, one can trace the entire creative path of the master. 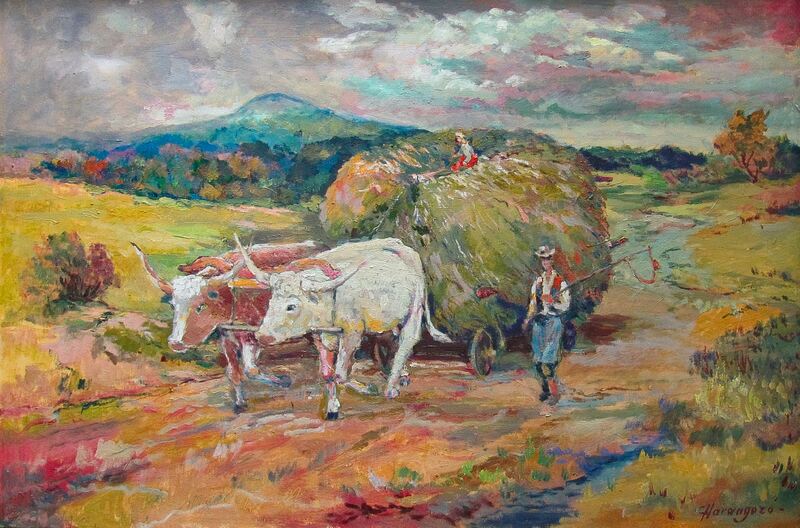 Immersing in the theme of canvases, the spectator plunges into the life of a peasant, his work and colourful rest. 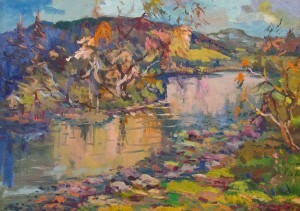 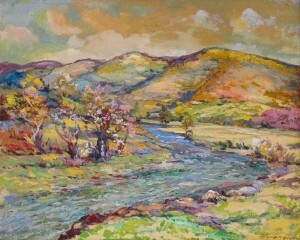 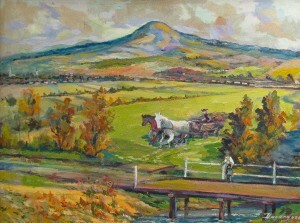 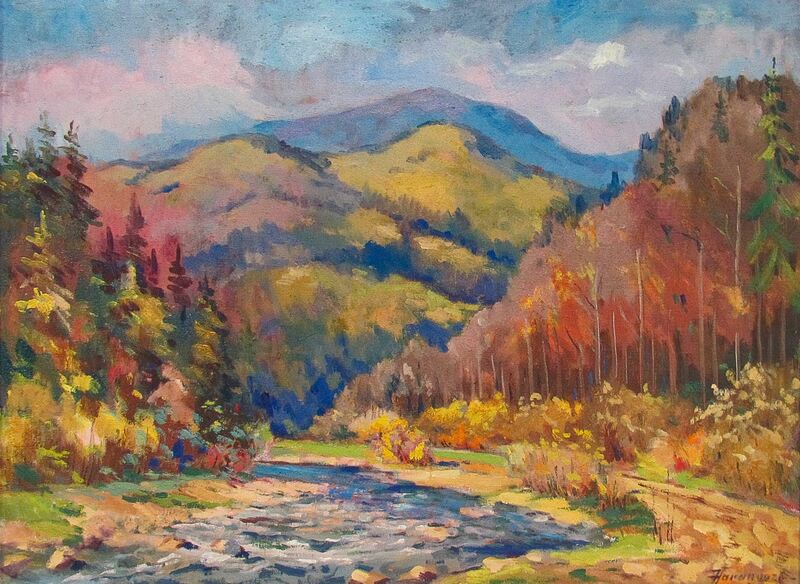 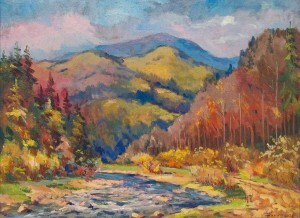 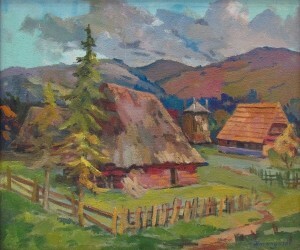 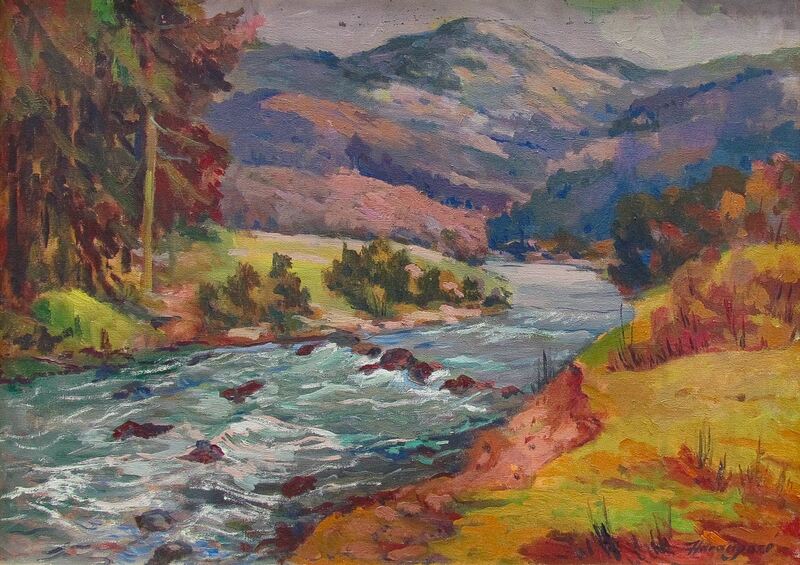 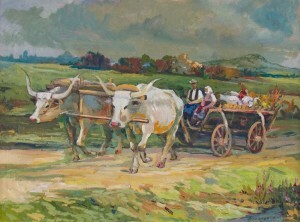 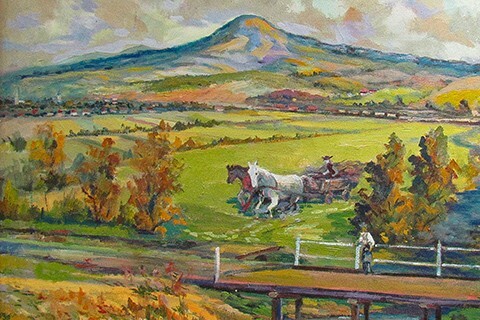 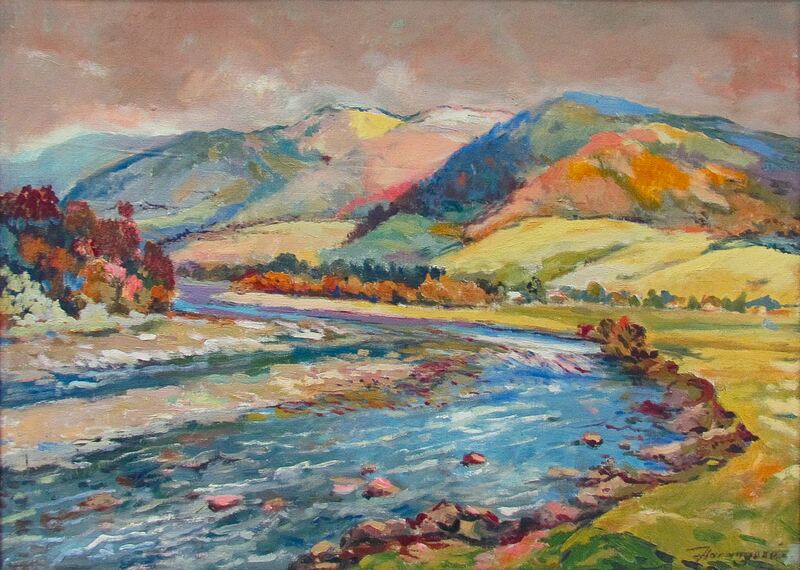 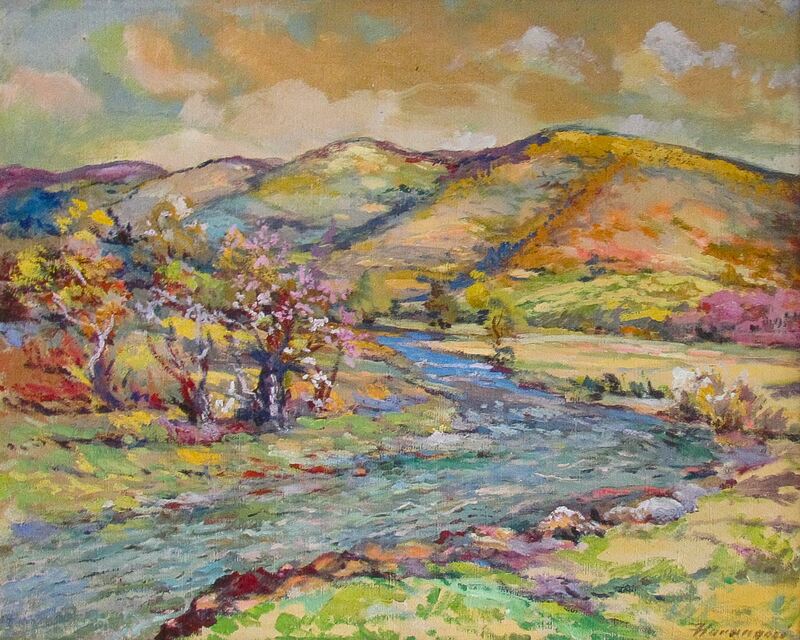 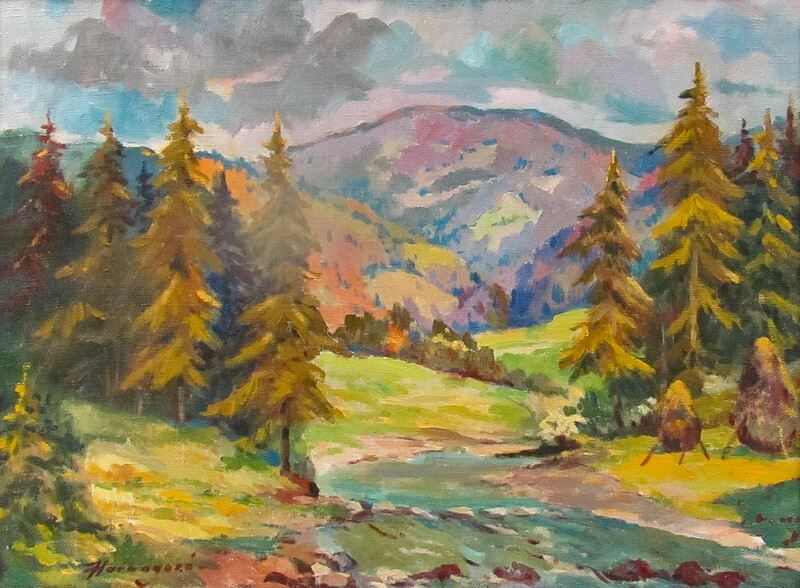 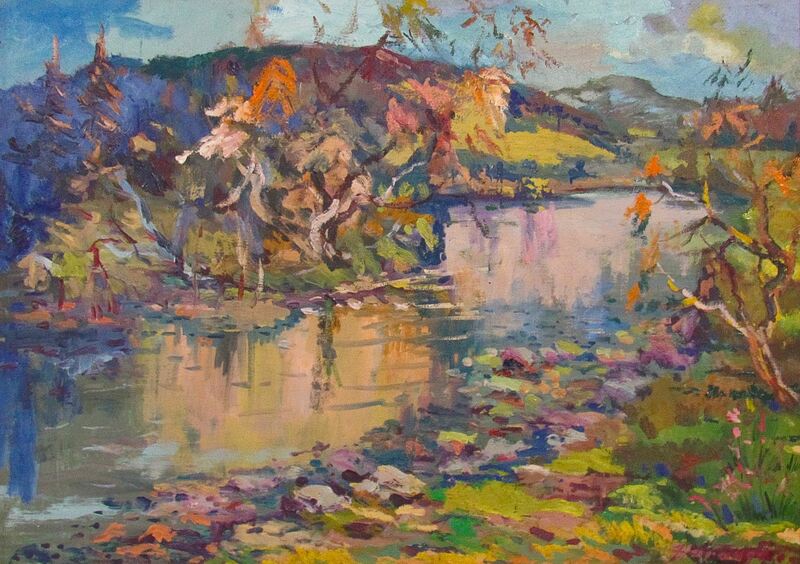 And the landscape paintings convey the beauty and exclusivity of the multifaceted natural environment of the artist, as he spent his whole life in Shalanka village in the picturesque Vinohradiv district. 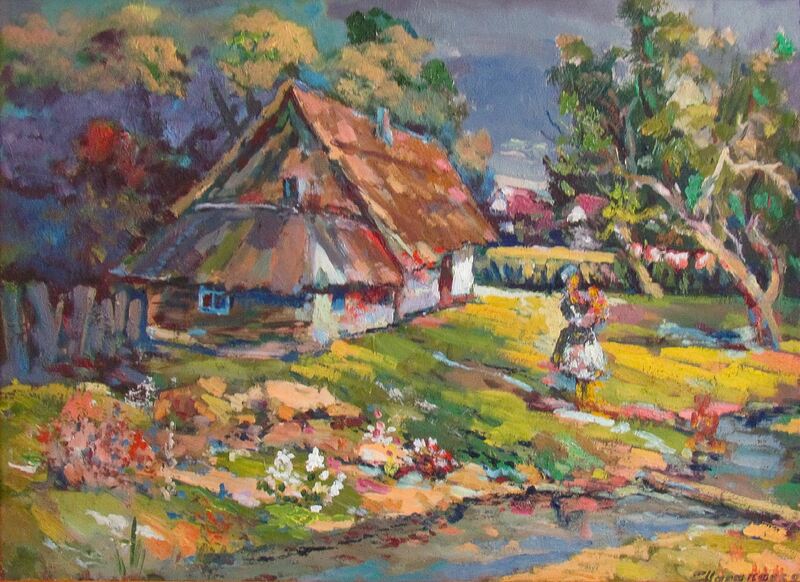 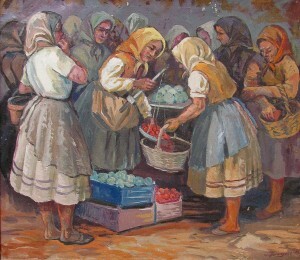 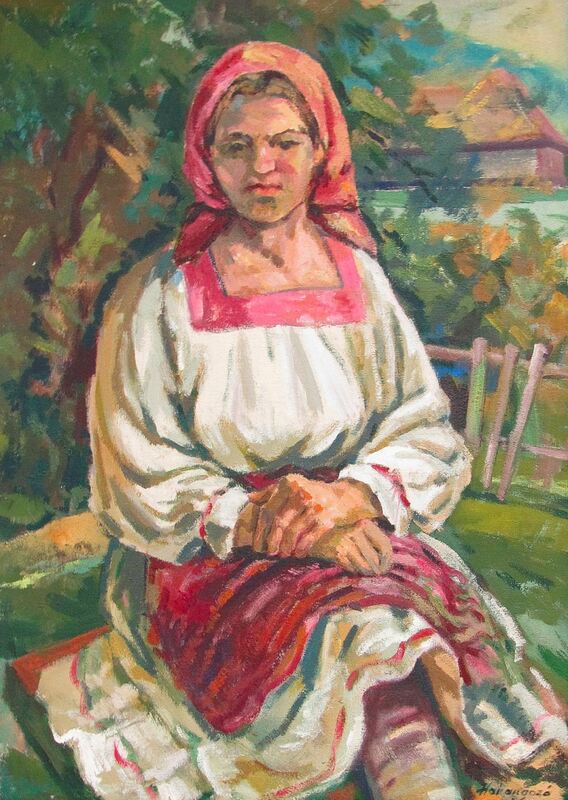 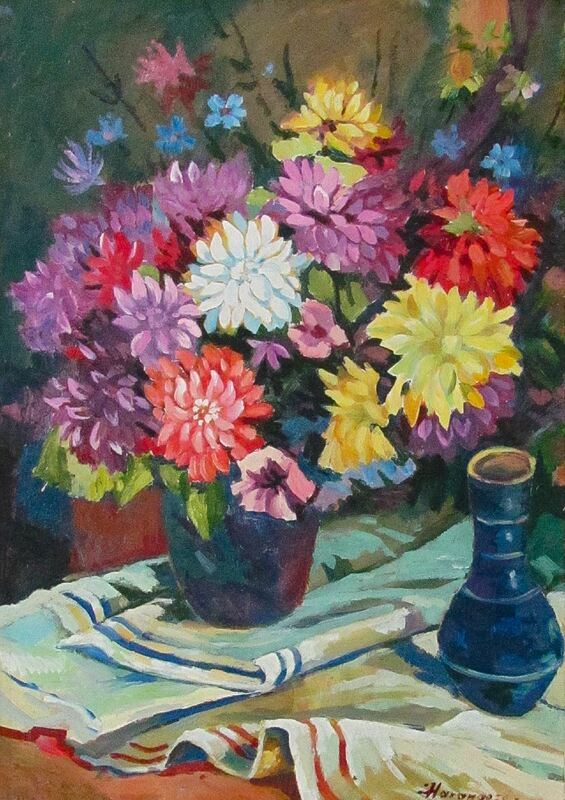 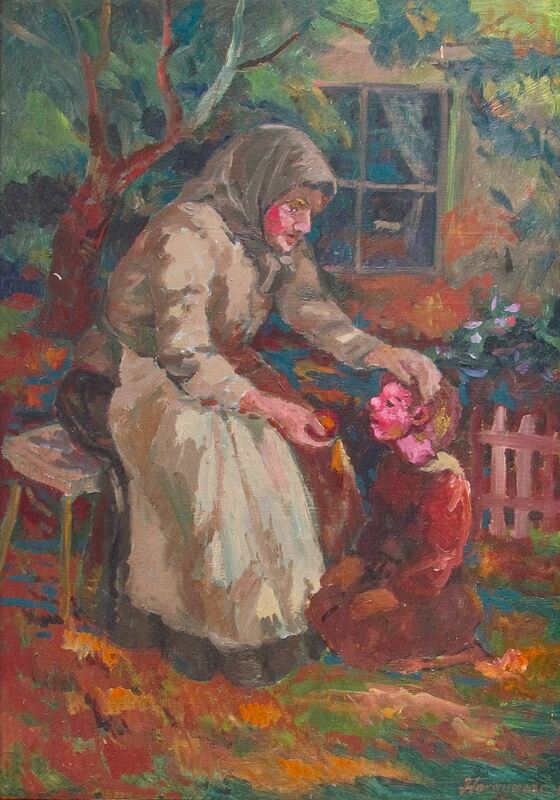 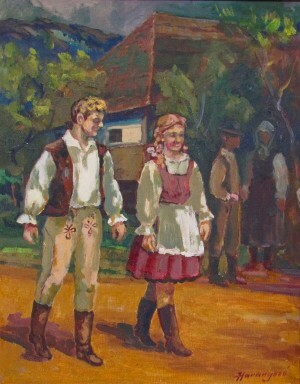 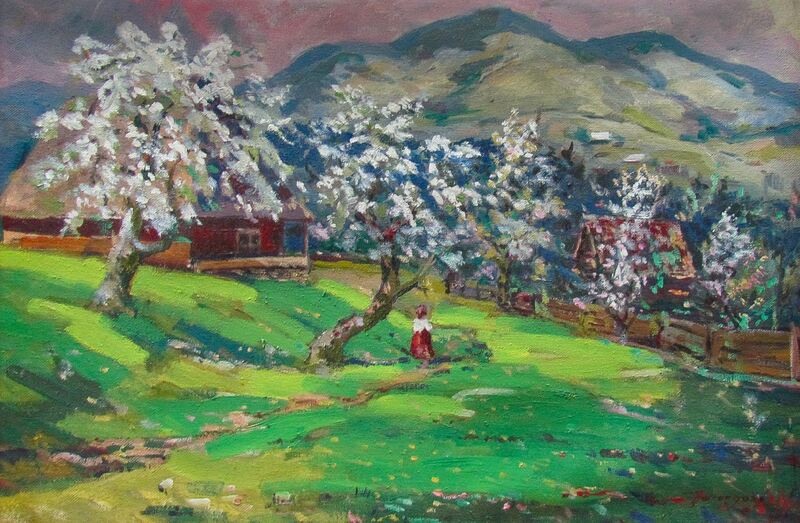 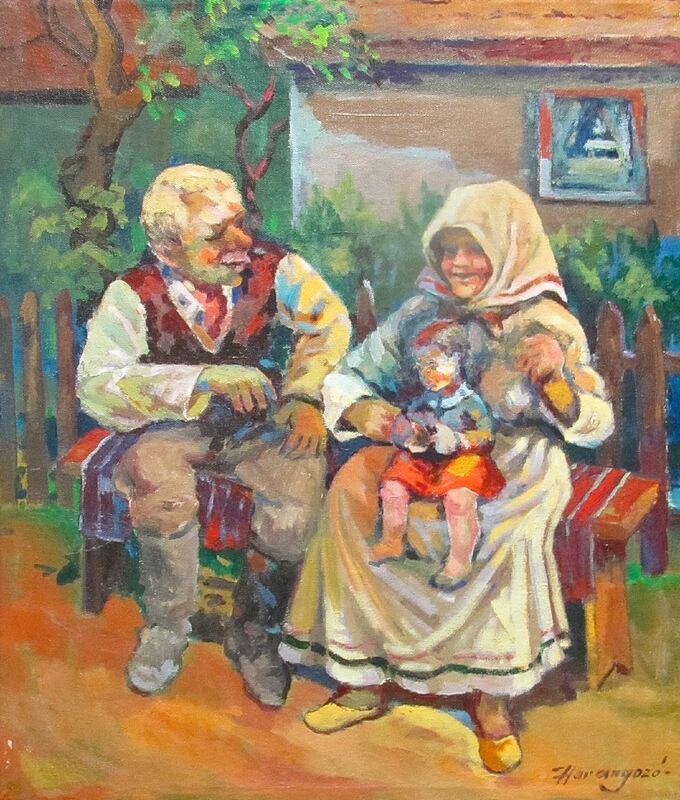 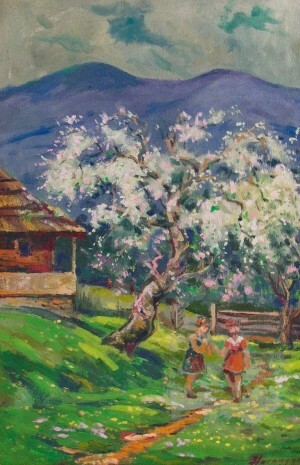 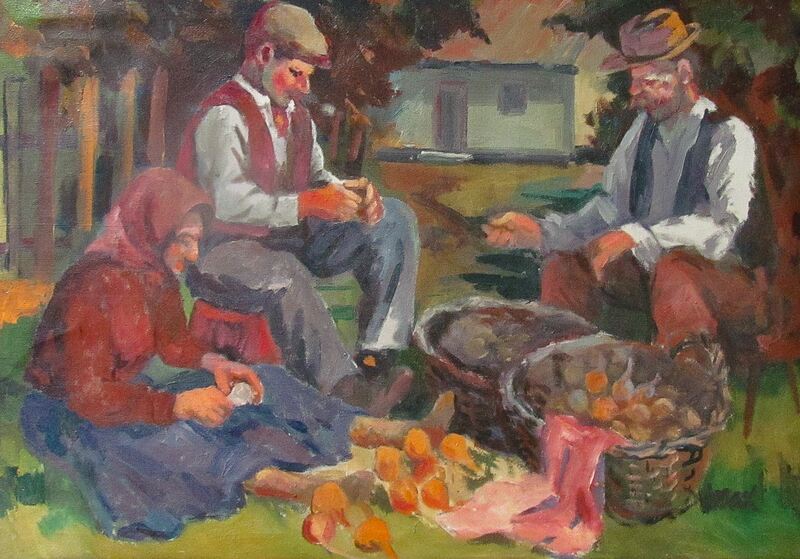 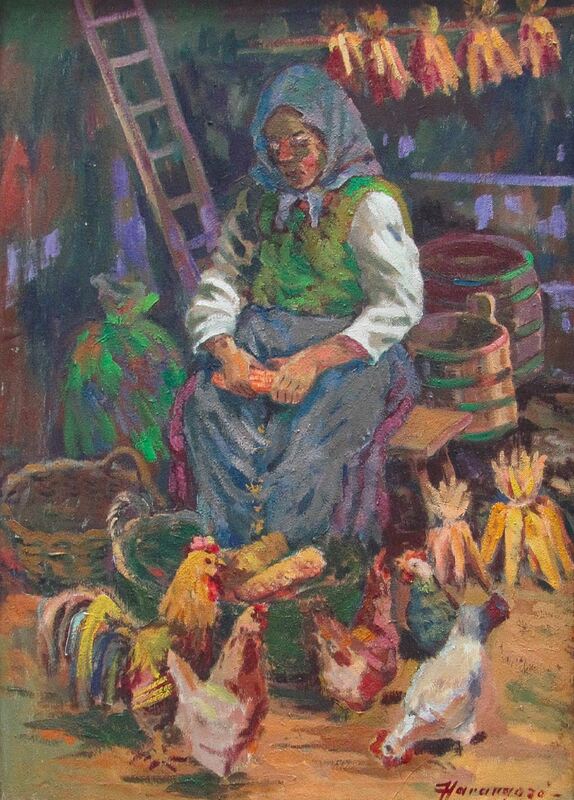 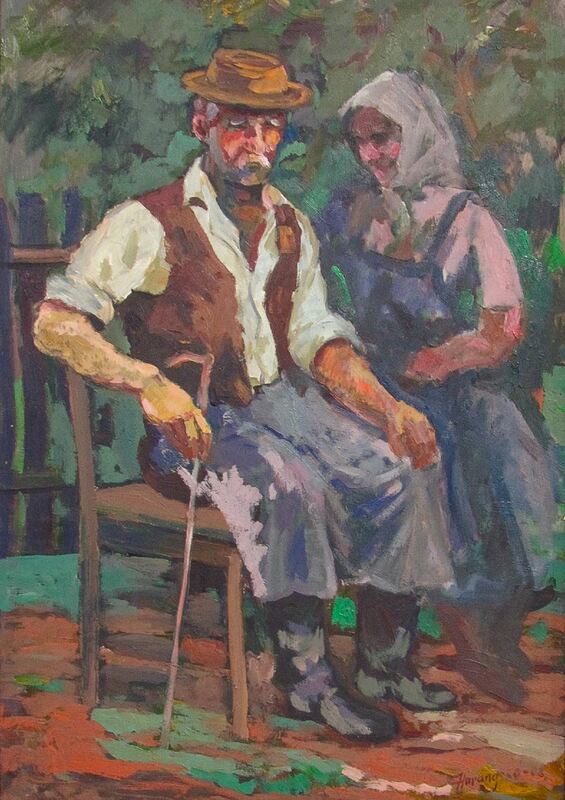 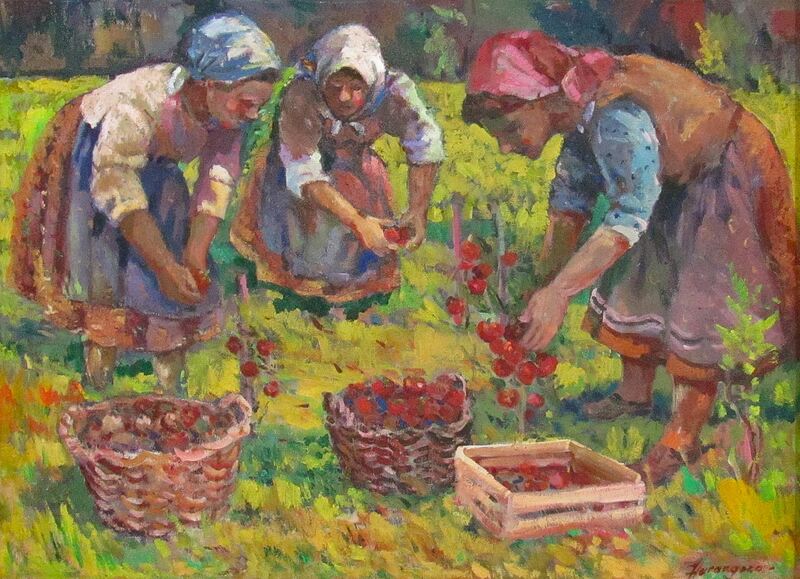 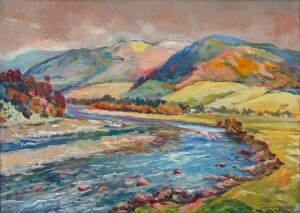 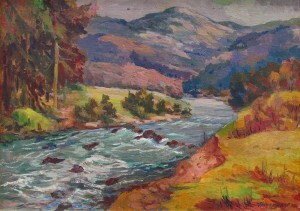 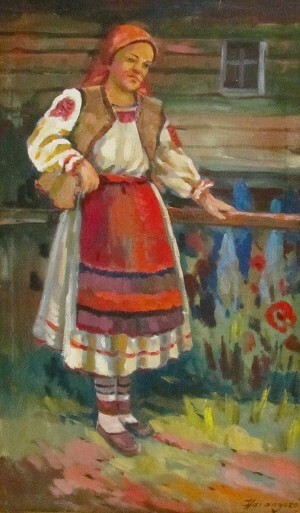 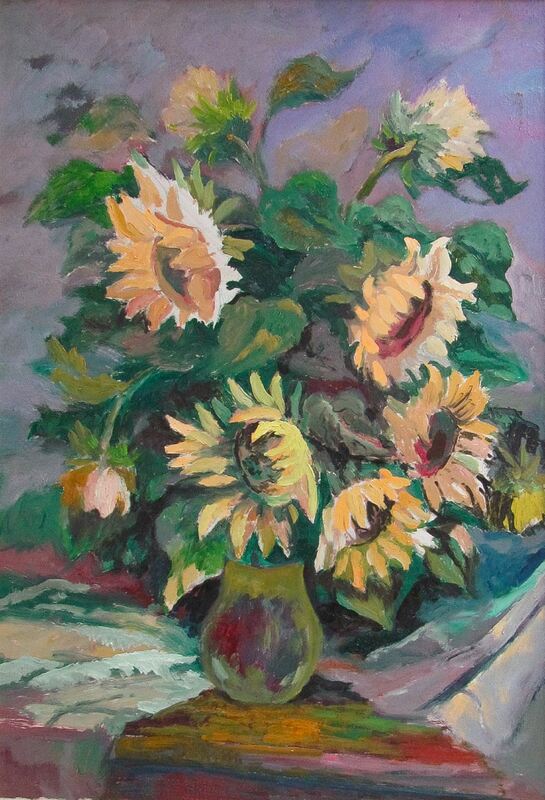 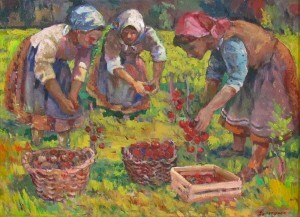 The palette of the artist is extremely bright, colourful, full-length, it is obvious that he as an artist has significant influence by the tradition of the Transcarpathian school of painting. 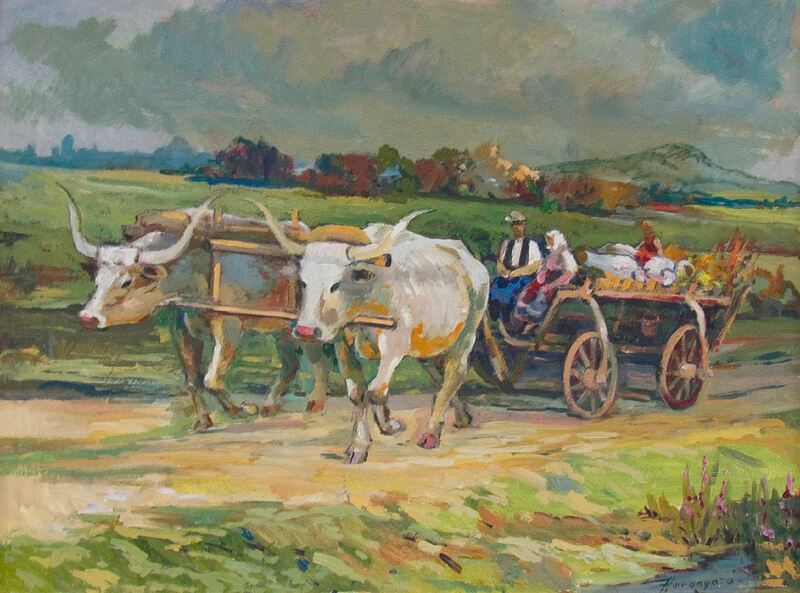 A lot of cousins, friends, colleagues and admirers of the artist’s talent came to the exhibition opening. 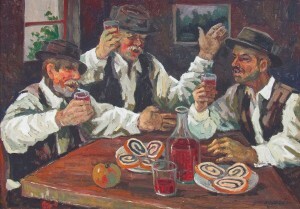 They shared their enthusiasm with the creative works of Miklos, his diligence and constant search. 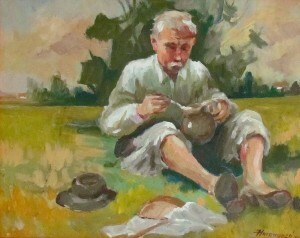 Although the artist was not very talkative, he enjoyed speaking by means of painting. 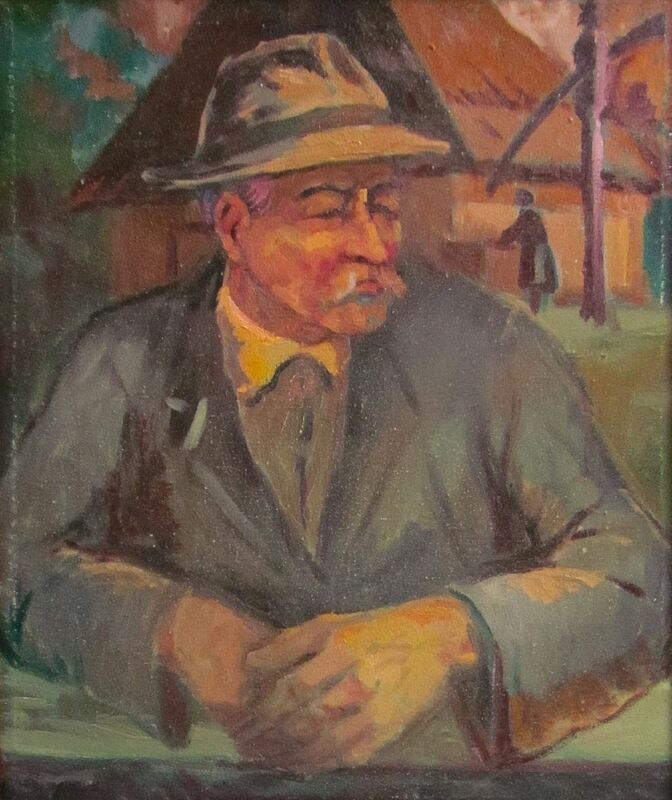 His colleagues still remember his recommendations. Miklos Harangozo was a frequent participant in local and foreign exhibitions, plein airs. 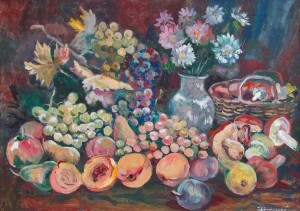 His works are kept in the museums and private collections both in Ukraine and abroad. 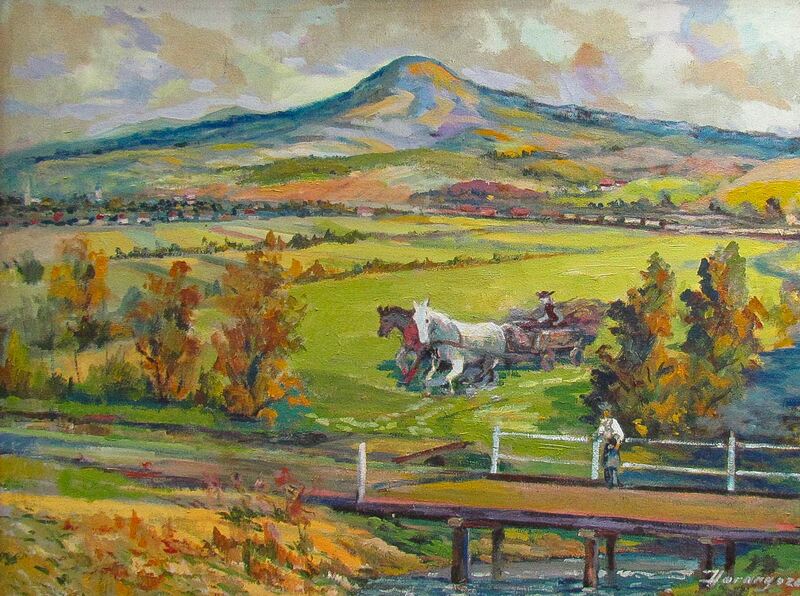 Miklos Harangozo Jr. aims to show the artist's creative achievements in other cities of the region. 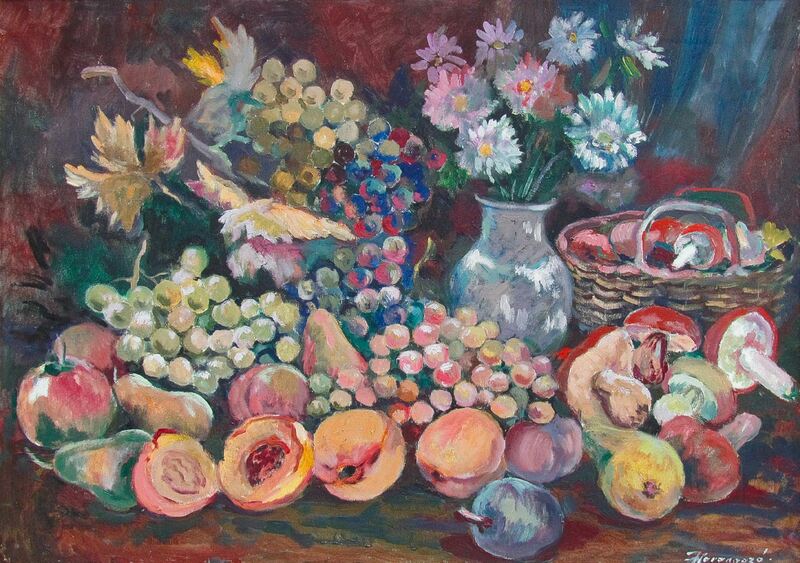 The exhibition will last in the gallery "Impasto" till 20 January 2017.